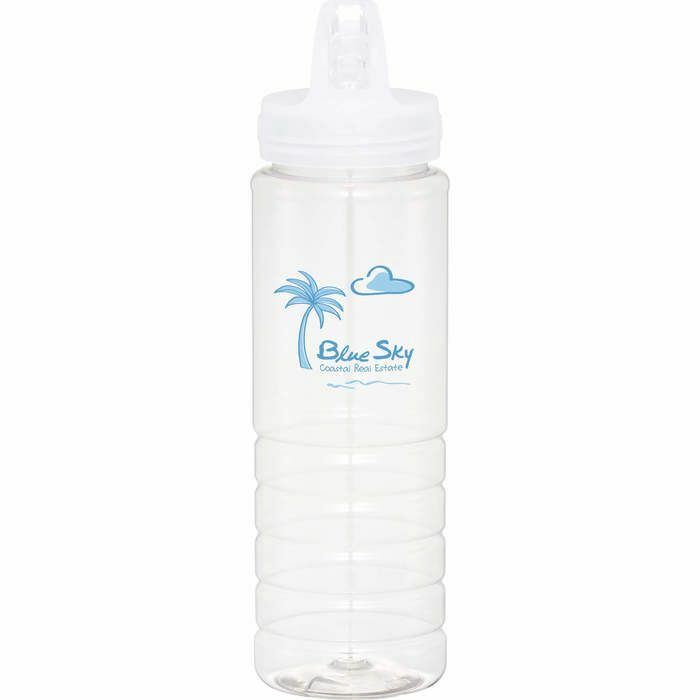 BPA-free sports bottle features a twist-on lid with flip-top drinking spout. Phthalate-free, Non-Toxic and Lead-free. Meets FDA Requirements. Hand wash only. Imprint Area per side 2.75" H x 2.75" W, wrap, 1 color only 2.75" H x 7.00" W.